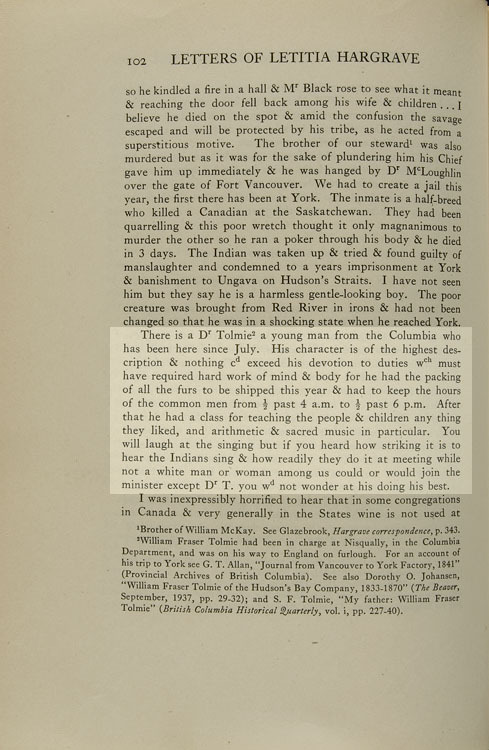 “There is a Dr. Tolmie a young man from the Columbia who has been here since July. His character is of the highest description and nothing could exceed his devotion to duties which must have required hard work of mind and body for he had the packing of all the furs to be shipped this year and had to keep the hours of the common men from ½ past 4 a.m. to 1/s past 6 p.m. Check the Beaver Index - e.g., type in singing, education, etc.